Jam Party People • :: View topic - Is Jay's favorite color blue? I have noticed that Jay seems to wear a lot of blue clothing and hats. Is there any interview where they asked him his favorite color? My guess is that it is blue. Even on the pictures they just posted on here, he's wearing that blue fringed jacket and a blue hat. If you check out his music videos - he's almost always wearing at least some blue. And that's my favorite color too! So if that's his favorite - I think he has good taste! Re: Is Jay's favorite color blue? Hmmm... might be but well...blue is almost everyone's favourite colour (mine is Orange and Purple though)...and If we are to consider Jay's Pink Shirt (with capital letters cause it's worth it) at You Give me Something them well...DAMN! PINK Shirt? Oh, you mean that "Ice Cream Salesman's" shirt? That's what it always makes me think of. I must admit, that is my least favorite style on Jay. Similar to the shirt on "7 Days in Sunny June" video. I also HATE those shorts he wears in the 7 Days video. . . NOOOOOO Jay!!! No super short white shorts! NO!!! LisaTheLisa wrote: PINK Shirt? Oh, you mean that "Ice Cream Salesman's" shirt? Oh I'm pretty sure Jay's favorite color is green. Or maybe purple. No green. These really are the funniest posts! So they should sell the pink shirt on the website and you all would buy one?? You all are so SILLY! His favorite color is green, no purple, indigo . . . where do you get these silly ideas?? LisaTheLisa wrote: So they should sell the pink shirt on the website and you all would buy one?? Cool, yeah I like that. I like how you give an example of why you think he likes a color. I think I noticed that lining on some other video I was watching, like the X-Factor or something. . . He obviously likes purple too. And that is my second fav color too. . . I like his purple feather headdress better than the one he's wearing on the cover of the new album. I think it's Black .. come on guys it's mostly black .. or probably dark navy blue, check out his daily polo shirt! and he's got a black baby enzo ..
Oh, black's a staple. You need it. Not really a color. I don't really know what his favorite color is. I don't even know what mine is. (I like black). But I notice the stage colors. I believe his favorite color is universal, that's natures way!! Look! Here's another pink shirt. I know you all like the pink shirt! Hate to say it, but it's a bit much for me! I think the hat just -too much pink! Giba7 wrote: Hate to say it, but it's a bit much for me! Right! A man in pink is just... awful. Oh I love pink, sometimes! 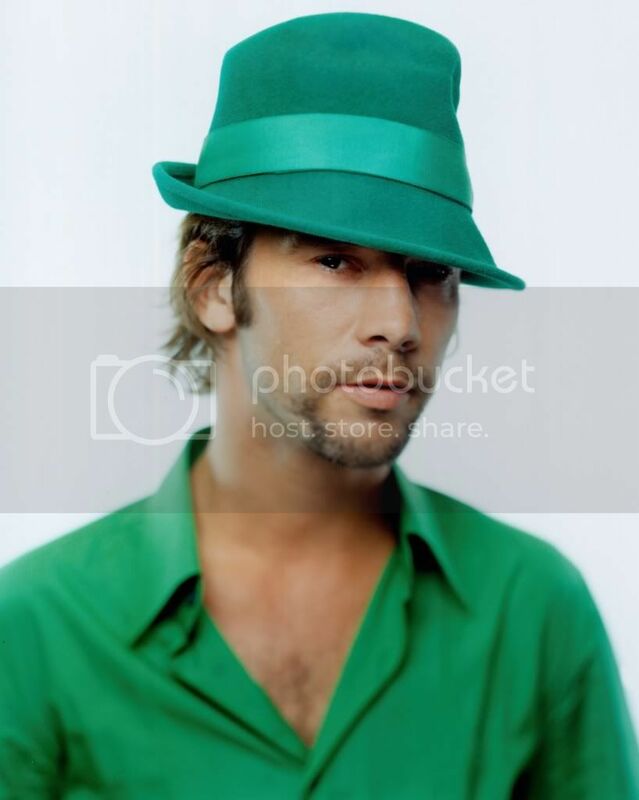 But I think Jay's favourite colour is Jamiroquai-green . 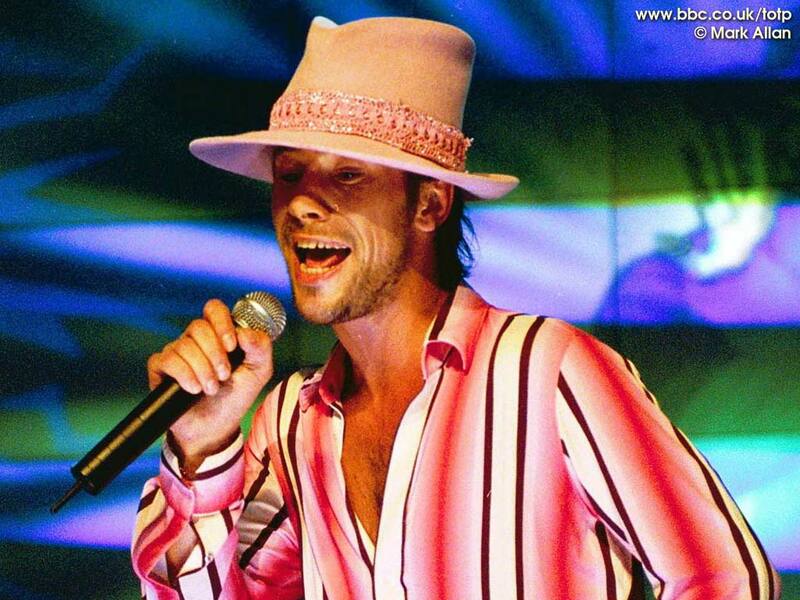 MrsMadHattersHat wrote: But I think Jay's favourite colour is Jamiroquai-green . You may be right . . . I think he looks like a leprechaun. I don't like the all-green outfit. But, then again, I think everybody looks like a leprechaun when they are wearing all green. Or maybe you were referring to the other green stuff . . .
Yeah I think his favorite color is green! I doubt anybody wears this much green just walking down the street -probably for a photo shoot! Giba7 wrote: I doubt anybody wears this much green just walking down the street -probably for a photo shoot! His favourit colour is greener than green, so today he put himself in a green trouser, green shirt and green cardigan. All sorts of green mixed together hahaha, veeeeeeeery beautiful. And he has no photo shoots hahaha.